Dumfries Model Flying - Scotland's Number One Model Aircraft Shop. We are suppliers of quality model aircraft and accessories for beginner to high end competition level. We are an accredited Sebart dealer but are able to supply almost any quality aircraft or accessory. SebArt - Wind S Pro, Miss Wind, Angel S.
ZN Line - Axial, Integral, Oxalys, Supreme, Twister, and many many more. CA Models - Osmose, Genesis, Scandalous, and more. Elation Models - Rapture, Rapture 50 and more! Naruke F3A - Airframes and F3A related items. Modelltechnik Lorenz - Excalibur, Cocaine, and many more. 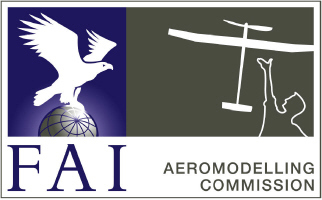 Aresti Modelisme - Retailer of several different airframes, and much more. Tower Hobbies - OS 2.00 FI, OS 1.60, OS 1.40RX and more. Steve Neu Motors - 1515/2Y and more. Thunder Power R/C - Li-Poly batteries, Chargers, Balancers, Etc. Duralite Flight Systems - Li-Poly batteries, Chargers, Balancers, Etc. Jersey Modeler - Fuel cans and pumps. Asano Products - Headers and pattern related accessories NOTE: Site is in Japanese. No English translation noted. Optifuel - Optifuel is a new nitromethane based fuel for 2-stroke and 4-stroke engines of all sizes. It has been developed by professionals to give the user high power, great throttle response and a very clean burn with no carbon build up. Central Hobbies - Arguably one of pattern's biggest supporters over the years. Castle Creations - Brushless Speed Controls from Ultra-lightweight 7amp Pixie 7 to the heavy duty 50volt, 110amp Phoenix HV-110. Model Fixings - We offer a range of replacement engine bearings, helicopter bearings, servo bearings, cyano and epoxy adhesives, assembly adhesives, ties and clamps plus a huge range of screw fixings (including servo screws) at very competitive prices. We now also stock a large range of taps dies and drill bits. Boca Bearings - Replacement ball bearings for engines. Bolly R/C Products - Landing gear, props, etc. PBG Composites - Carbon Wing/Stab tubes and other products. If you would like to advertise in this space then please contact our PRO.